"Winston-Salem, N.C. – The Downtown Winston-Salem Partnership (DWSP) has united with Post Entertainment to present the 2016 Downtown Summer Jazz Series. The featured artist will be smooth jazz Guitarist Matt Marshak. 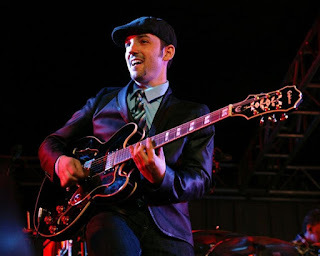 Matt Marshak infuses new energy into the golden era of contemporary jazz and R&B of the late 1970s and 1980s. Lifestyle, the guitarist’s strongest release, mixes the old school robust sounds of George Benson, Larry Carlton, James Brown, David Sanborn, Prince and BB King with Matt’s modern style. And the result is a CD rooted in the grandest tradition of jazz and groove music. The opening act will be Titus Gant. The concert will be held on Fri., June 24 at Corpening Plaza. Start time is 6:00pm. This is a free event. The Triad is welcome to come out and enjoy this national smooth jazz act. For more information about the concert series go to www.postjazz.com or www.downtownws.com/music/ . "